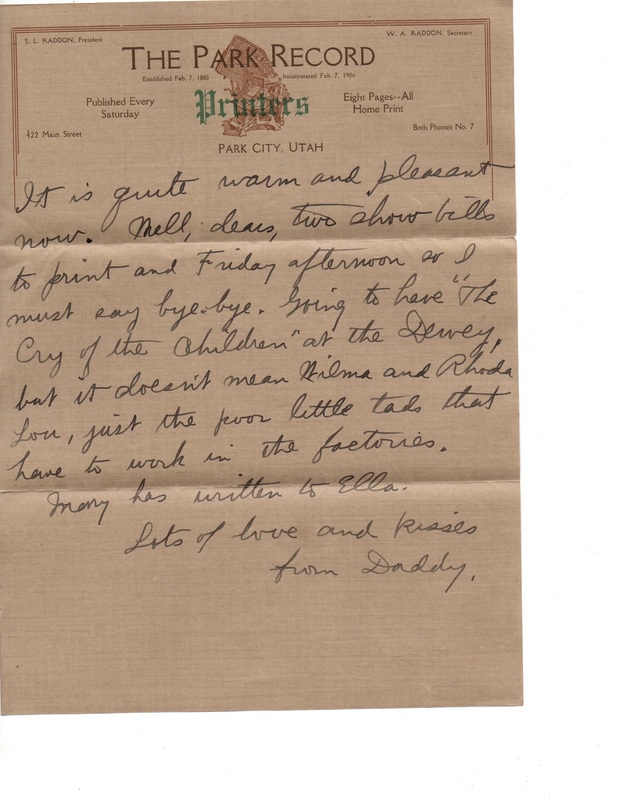 My great grandfather W. A. Raddon and his brother, Sam, owned the Park Record (Park City, Utah) in the late 1800s and 1900s. (As luck would have it, the owner now is Swift Communications, the owner of The Union newspaper ). I was close to my great-grandpa as a child; he later went to work at the L.A. Times. He had six daughters with his wife Chloe. Grandmother Ella and I also discussed his newspaper life. 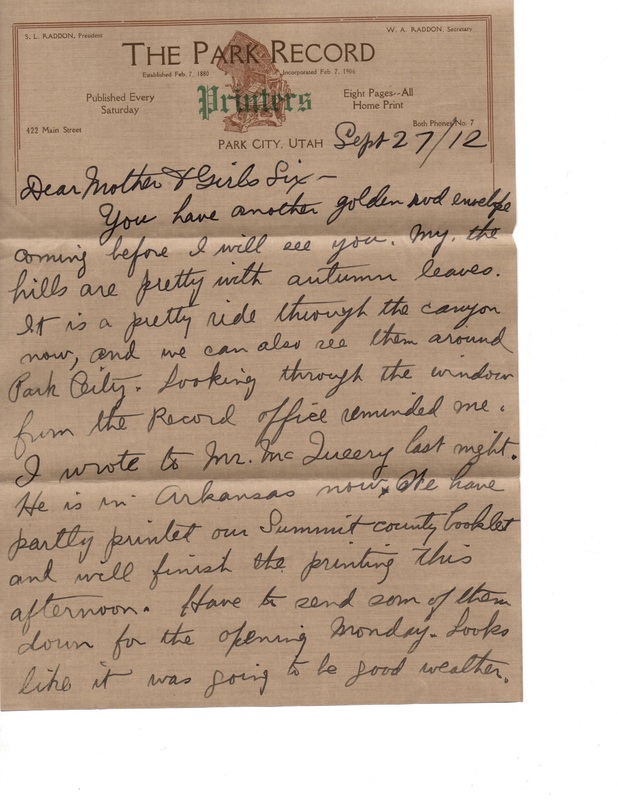 What a wonderful piece of family history!